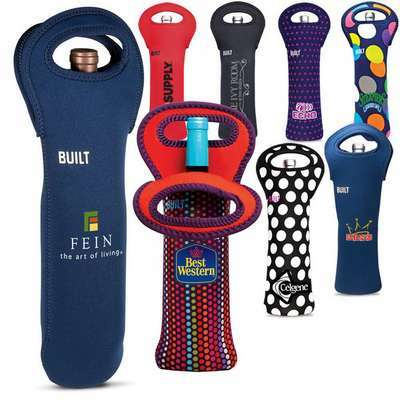 Carry the BUILT® One Bottle Tote to any party and surprise your friends with this stylized piece of accessory that holds your wine bottle neatly tucked in and safe. 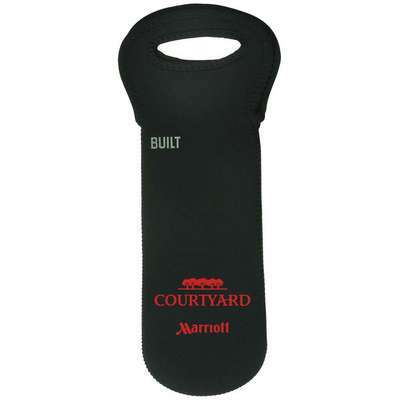 Crafted from protective neoprene wetsuit material with soft grip handles the material is tested for lead safety with no vinyl or PVC being used. 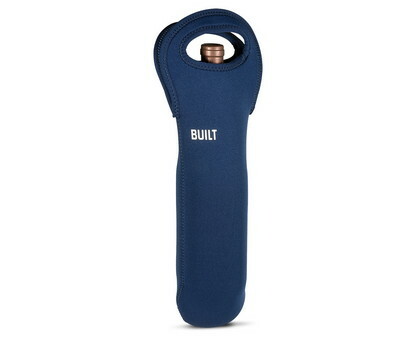 Carry the BUILT® One Bottle Tote to any party and surprise your friends with this stylized piece of accessory that holds your wine bottle neatly tucked in and safe. 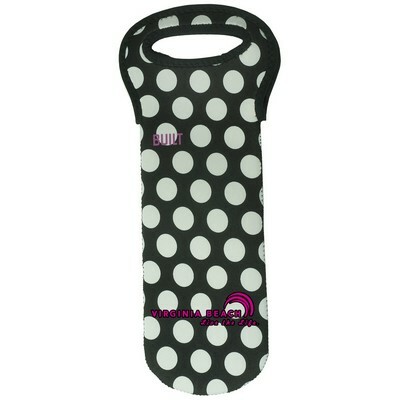 Crafted from protective neoprene wetsuit material with soft grip handles the material is tested for lead safety with no vinyl or PVC being used. 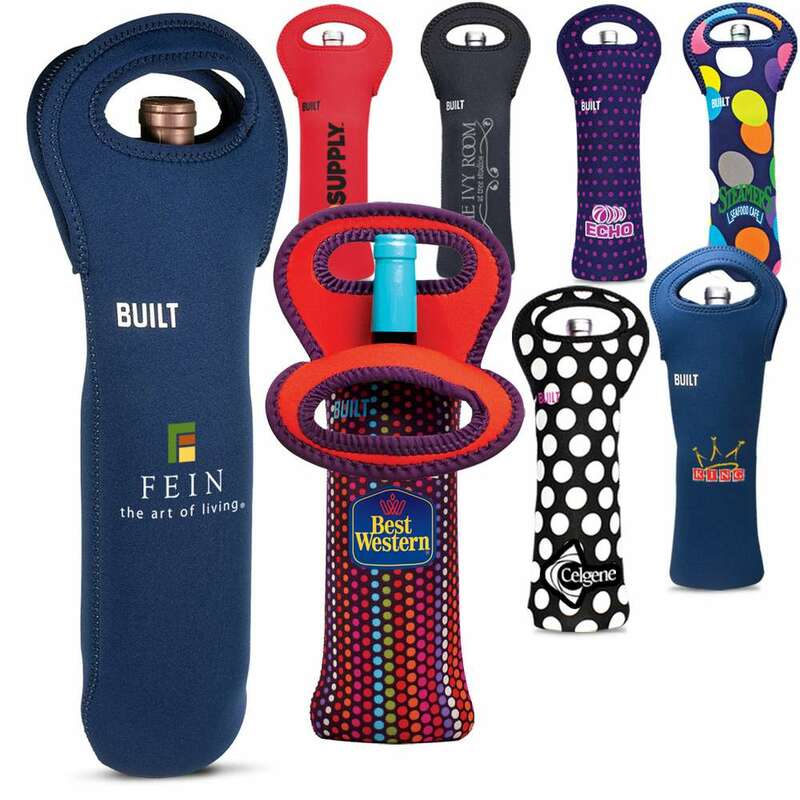 The Bottle Tote insulates one 750ml-1L wine bottle up to four hours depending on external temperatures and folds flat for easy storage. The material is stain resistant and can be easily machine washed cold and drip dried. 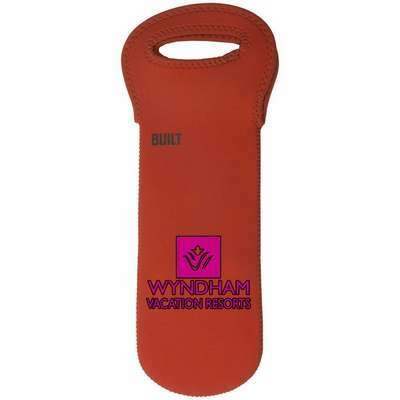 We will also neatly imprint your team logo absolutely free to give a boost to your promotional campaigns.